Bless Nova (right) and René Roman perform live for State of Things listeners at the UpStage Cabaret in downtown Greensboro. By age 6, Brenda Nolasco had already laid down her first professional recording — a youthful iteration of Whitney’s Houston’s “Greatest Love of All.” Nolasco was surrounded by music as a child: her uncle was a professional trumpet player, and her brother, sister and aunts were all gifted singers. But Nolasco got a late start on telling her own story through music. The music of Bless Nova: Brenda Nolasco on vocals accompanied by René Roman on acoustic guitar. 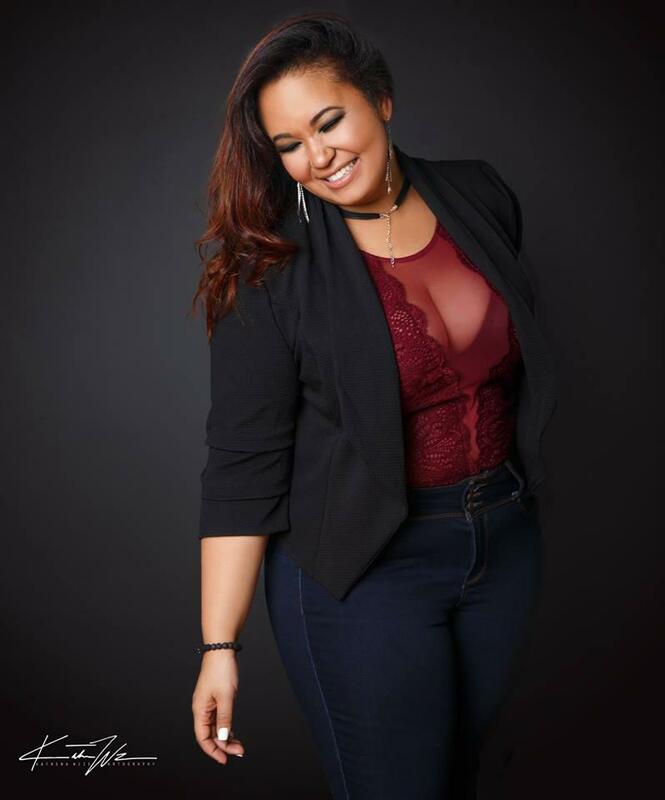 She only recently started writing original songs and realized the message she wanted to share was about healing from issues with self-esteem, self-image and emotional trauma. As the daughter of Dominican immigrants, Nolasco was raised a Jehovah’s Witness and says through her strict religious upbringing she never felt like she was free. Today Nolasco performs under the name Bless Nova and shares indie, feel-good tunes that blend reggae, neo-soul and latin rhythms. Bless Nova joins host Frank Stasio on The State of Things live from the Triad Stage’s UpStage Cabaret in downtown Greensboro. She is accompanied by René Roman on acoustic guitar. Bless Nova performs on Tuesday, Feb. 19 at 8:30 p.m. at Joymongers Brewing in Greensboro. Musician Andy Eversole has always wanted to travel the world and make music, and last year an unfortunate incident gave him the push he needed to make a long-time dream a reality.